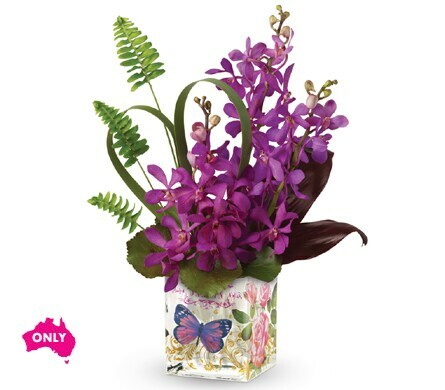 Want to make someone feel like they�re on a tropical honeymoon? This romantic gift is the perfect choice. 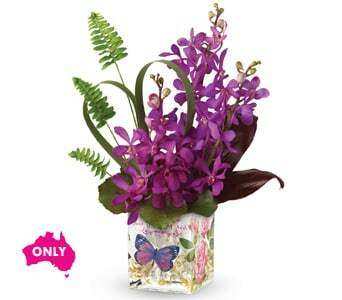 Exotic purple orchids and island greenery are arranged in a standout Enchanted Keepsake vase.